If you love opera in every sense, you would surely love the Opera magazine too that covers opera in every issue. 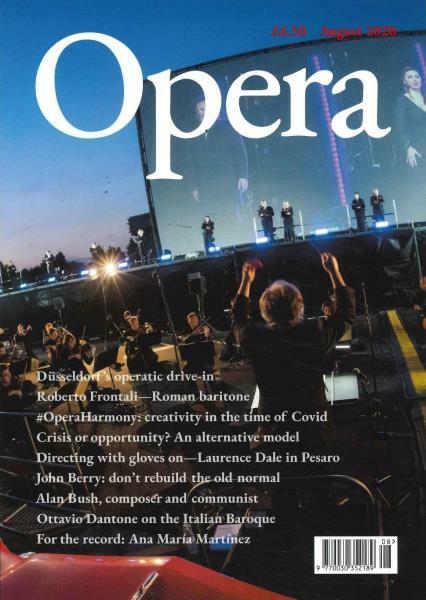 Buy a single copy or subscription to Opera magazine. The deep analytical opera reviews, intriguing opera articles and magnetic opera people will surely have you immensely captivated. The monthly magazine was founded in 1950 and ever since then it has been delivering quality content and lively pictures from the mesmerizing world of opera. Included in the magazine are the gems of information and news about opera and stage shows. The magazine also has informative editorials to keep you enlightened with the recent developments in the opera world. Plus the featured interviews of the poets, singers and other associated people give you an opportunity to understand behind the stage action and the process of producing an enchanting opera show. The featured reviews are performance focused and provide in depth analysis on various aspects of the opera.